Programs are offered for adults of all ages. The challenge of preparing and sustaining the efforts of today’s adult Catholic to respond to the many needs and opportunities of the Church is the challenge of this ministry in parish life. 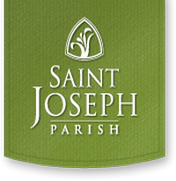 To this end, St. Joseph Parish offers many regular scheduled, as well an ever-changing variety of opportunities to deepen one’s knowledge of faith, theology, scripture and modern thought. This ministry encompasses the full range of ministries that serve our adult community: Marriage and Baptism preparation, Adult Confirmation, RCIA, Grief Support and Bereavement, Adult Educational and Formation Programs, and Senior Social events. Click here to review the Time and Talent Bulletin to learn more about the ministries and how you can participate.